What is asset management? As the name suggests, it is the process of managing people’s assets. It is a combined task of all the process involved in managing an asset, recording and managing assets from procurement to disposal. It helps users to track all the details about the assets at any point in time. The term also applies to handle organisations or companies’ assets. 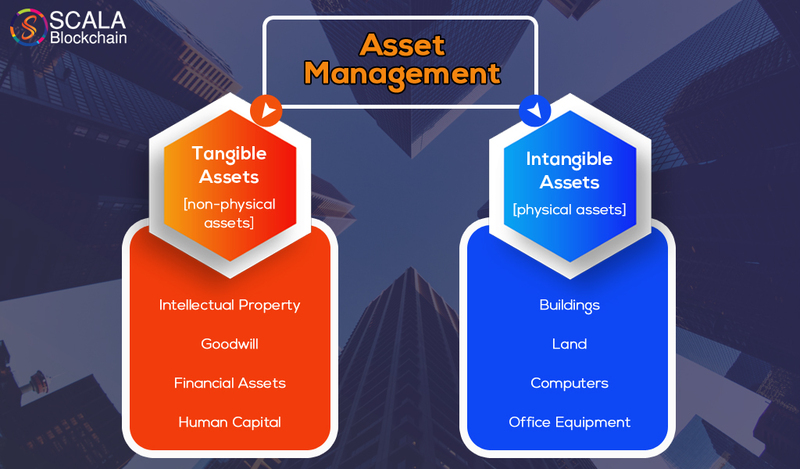 All the type of assets involved in the management process can be classified under two headings, tangible assets and intangible assets. Asset management is a crucial factor for a various number of reasons, firstly majority of the public services rely heavily on assets to support their delivery. Also, assets indirectly represent a significant amount of investment that needs to be protected. Various countries across the globe are stressing assets by over-using, under-funding and ageing. So, to put it simply asset management is a process for tracking and monitoring a company’s or individuals fixed or moveable assets for financial accounting, preventive and maintenance and theft deterrence purposes. At present organisations are looking at various options to manage assets. A proper tool that can provide reliable reports to improve the operational efficiency of the industry. 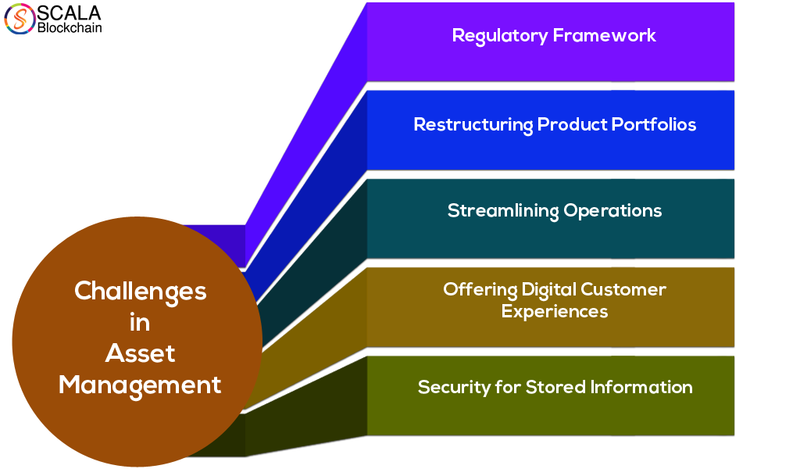 It is mandatory to implement an effective asset management solution whilst the organisation is in its early growing stage, it can help by providing a smooth growth curve, that too with comprehensive scalable solutions at present, a proper asset management system at the early stages of operation can bring about a lot of positive changes for the organisation. All these techniques are effective in their own way. A proper system must be followed while considering the option of asset management; the entire structure must be sketched out in detail before getting into the implementation process. In the majority of the cases, small companies tend to overlook the need for a comprehensive asset management system and will delay the implementation. In such cases, the organisations become overwhelmed with manual documentation and asset tracking process as the company grows and accumulates a greater volume and variety of assets. When we consider healthcare and government industries, regulations mandate that certain assets be carefully monitored and managed. It is essential to understand regulations for effective asset management programs that ensure ongoing regulatory compliance and selecting industry-specific asset tracking solutions that meet regulatory specifications. These challenges are an imminent threat to the entire asset management system. In the increasingly competitive digital environment, these threats are to be answered immediately else it can disrupt the operation entire industry. So what can be the perfect answer to all the problems faced by the industry? 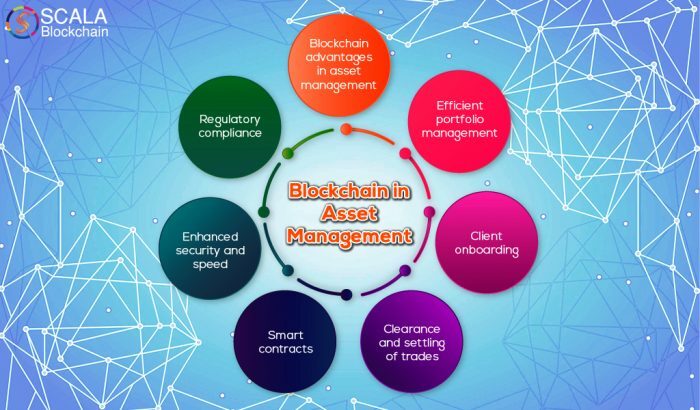 The blockchain is the only answer that can solve all the complications of asset management. The blending of blockchain with asset management will produce awesome results. The digital ledger can make things easier and provide a high level of security to asset management. The technology brings a lot of value to the table and can make asset management ready for the future. Blockchain also knows as distributed ledger technology [DLT] is getting its roots deep in all areas of development. It offers new benefits as well as a few new challenges that we must overcome. But as always, uncertainties and obstacles will resolve themselves, one way or another, adoption will occur. Portfolio building is an important part of asset management, also it is vital to keep the portfolios in an organised manner. With the help of blockchain technology, portfolios that are created will benefit greatly. 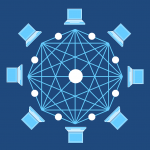 Blockchain offers highly organised data structure that will make it easy for organising and managing portfolios. The industry may adopt any protocol but one thing is for sure, blockchain has the potential to accelerate communications between investors, asset managers and third-party entities. The technology will enhance the way portfolios are handled and will surely provide a strong base to launch towards future developments. Asset management industry is a highly regulated industry, but onboarding new clients are a time-consuming process. There are so many stages that have to be processed before a new client come aboard, it might take days or sometimes weeks. This can sometimes cause a bit of hassle in the operations. Blockchain does not provide you with direct solutions but it provides ample space for you to develop solutions according to your needs. With nodes extending to the proper institutions, immediate and permit access to the required information will become as commonplace as modern credit checks. 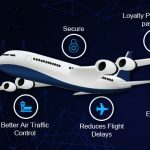 It is impossible for a single company or a single technology to provide such solution but together stakeholders can build infrastructures that facilitate the fast sharing of information needed to reduce the onboarding process to an inconsequential time frame. The biggest concern in the asset management industry is the inefficiency in the current trading infrastructure; it limits clearance and settling of trades to two or three days. Blockchain implementation can eliminate the difference between trade and the clearing of the transaction. This also eliminates counterparty risk and amplifies capital availability. This will lead to blockchain replacing Automated Clearinghouse (ACH) and the Automated Customer Account Transfer (ACAT) system as the technology matures. They are nothing more than simple codes that are placed on the surface to automate certain tasks. In asset management, smart contracts can be used for a variety of tasks. The use of smart contracts in asset management will play a vital part in transforming the industry. They can be used to automate tasks like triggering the sale of funds based on the rule set by the client, to fulfil the actual execution of a contract between the client and the asset manager. 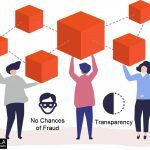 Smart contracts eliminate the role of attorneys from the management system. There is no system that is out there which can offer security to data like blockchain; it not only provides the best security but also transforms the storage of data. Blockchain offers immutable record for all the transactions, every single time a timestamp will be created when data values are changed. Breaching a central database and hacking will be totally eliminated as nodes are spread out with all the connection in the blockchain network. Also, all the blocks in the system will be encrypted. It is impossible to hack information from the blockchain network. For the entire system to be hacked, a hacker needs to simultaneously decrypt all the linked blocks, that is an impossible task to perform and this feature makes blockchain network impossible to tamper with. Blockchain offering so much protection in terms of security, it is incredibly fast. A perfectly designed asset management blockchain can provide near-real-time performance in asset tracking, giving managers quick insights into data drift and changes that can affect their client portfolios. There are three main reasons for the government to periodically change regulations governing technology; they are speed, traceability and transparency. These three are the inborn qualities of blockchain technology. The transactions happening in blockchain technology is verified by all the involved parties, the immutability of blockchain can make audit trails a thing of the past. Are you ready to take the big step towards blockchain? 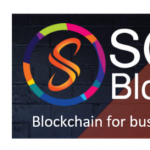 We at Scala blockchain provide you with the best in class asset management platform with blockchain technology. 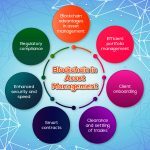 With all the features of blockchain working towards improving asset management, this will be the apt time for you to get into the blockchain zone. A head start is never a mistake, plan for the future with the perfect blockchain solution. Immutable blocks will make way for future asset management. are you ready to take the big step forward?